Issues with Castro Valley garage doors can be endlessly annoying. Door balance trouble is a hassle. A noisy garage door system is just as a big a hassle. 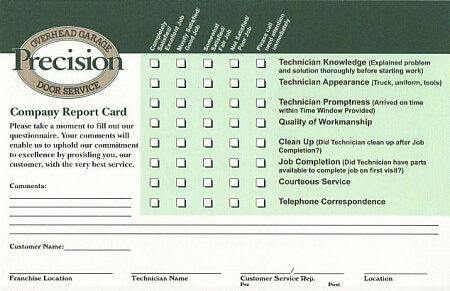 When you need A+ Castro Valley garage door repair service, call us at Precision Garage Door Bay Area. Our technicians specialize in Castro Valley garage door repair, garage door opener repair, door panel replacement, door track repair, door track cleaning and more. Our phone number is 866-949-3722. Our address is 35 Quail Court Unit 301, Walnut Creek, California 94596. Our technicians help customers with all kinds of garage door concerns. They help them with broken springs, door balance troubles, noisy garage door headaches, door track repair, door panel replacement and beyond. They also provide comprehensive regular maintenance service. Our maintenance service can in many cases keep garage door issues at bay. They can fix garage door issues before they worsen, too. If you want to avoid the need for time-consuming garage door opener repair in the future, routine professional maintenance may help. Our Castro Valley garage door maintenance service is efficient, thorough and meticulous. Call us to ask about our Castro Valley garage door safety inspection appointments. Our full-service company can help you manage any and all garage door system matters confidently, swiftly and smoothly. Our technicians make handling frustrating broken springs simple and rapid. They make handling excessive noise and balance problems simple and stress-free as well. A good door track cleaning session can improve the functioning of your system considerably. Phone our company today to schedule an appointment for a comprehensive garage door safety inspection. Call our company as soon as possible to schedule any kind of garage door repair service. "Thankful for Paulino and Precision for taking care of my problem in my garage. Thank you Precision." "Great job, Paulino replaced my springs and balanced my door. Now my garage works smoothly! 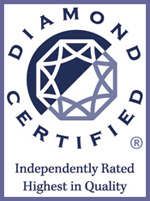 Thank you, we would highly recommend Precision to our friends and family." "The tech adjusted the door so it didn't rub on the drive shaft. It was a great fix. Thank you!" "Brandon was nice gentleman. He was very courteous to call to let me know when he would arrive. He took the time to explain everything that was working fine about my garage door and what needed to be done to get it fixed before he started any work. People on the phone and Brandon were terrific. Precision Door is lucky to have them." "Your technicians are very courteous and professional. I have had Precision door out 3 times for different issues and always appreciate the fast service. i just need to get you guys to fix my garage door windows for full service." "Great all around job, fast service." "Great knowledge and customer service!" "Liked that you explained everything first, before the work was started! Very knowledgeable." Connie,Thank you for taking the time to acknowledge Ricky's work. Glad we could be of service quickly for you. "Excellent service! Exceeded my expectations. My garage door spring broke late Saturday afternoon and I called Precision and they sent a technician to my home before 7 pm. George Bears was great patient thorough and fixed my garage door before 9 pm. 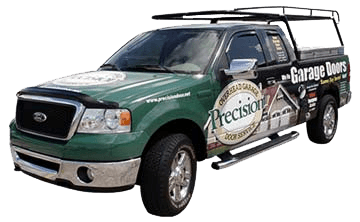 I would highly recommend Precision!" "Your tech (Rick D) was very professional. However, he keep quoting me differ prices. It started from $336 to $985. I not sure if the price was right. The garage door seem to be working Ok at this point. Rick did say - I had a five year warranty. His timing and professional profile was around 85%. To rate your services at this point - I would rate it about 75%"
Ricks intentions was to give you multiple options to repair your door.Garage door parts are rated in cycles- meaning every time you open and close your door, it is a cycle. New garage doors typically have parts that begin to fail or reach their "END OF LIFE" after 3-5 years. Your door will be noisier as the parts wear. The wearing of these parts can also break your automatic garage door opener. If your door is over 5 years old, it could require a total overhaul which is the $950 price.If a client gets an overhaul, the warranty is LIMITED LIFETIME.The lower option- $336 which is a SPOT repair. The spot repair is just replacing the broken parts. This is not the best solution as it is highly likely your garage door will need service again.a third option examines the parts and recommends replacing other worn parts that may be directly related to failed parts. The pricing would fall in the middle between spot repair and overhaul. "Rick was prompt and professional. My door came off the track and was all bent up at 9pm at night. He repaired door and got me back working quick. Thanks for the help on a holiday no less! Precision, take good care of Rick!" "Your service was excellent and we appreciated how prompt you were to help us out. Thank you very much. We saw your ad in the yellow pages." "Very professional company. Everyone from the field service crew to the dispatchers / office personnel. Arrived on time and work performed was done well. Very knowledgeable tech came out to work on my door. Highly recommended!!!" 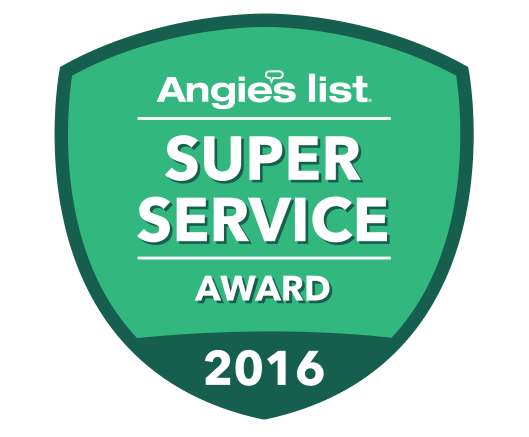 "This was the first time that I had to replace torsion springs for my garage door. I did some on-line research and Precision was one of the four that I contacted to check the prices, warranty and customer service. I was quite impressed from the get go. I was pleasantly surprised when the owner personally called me to give me additional information that helped me choose their service. The technician was very professional, courteous and highly skilled. I already recommended them to my neighbor who also enjoyed the top notch Precision services. I am greatly impressed by the entire team - customer support, technicians and the owner!" "We are very happy with the installation of garage door openers and repairs made on our 2 garage doors. The technician was very pleasant and knowledgeable. The only recommendation that I would like to make is that staff make courtesy calls to customers letting them know if and when the techs would arrive. We had to make 2 follow up phone calls and as a result we scheduled the appt. for the following day as the tech was already 2 hours late, which was fine, but a phone call earlier would have saved time and waiting for us." You are correct.Since we do not give the phone numbers to techs, we have implemented full GPS capabilites so we can track our techs and their estimated time of arrivals. We call if we cannot make the scheduled 2 hour windows.Your time is important to us and we are always working to perform better for our customers.we appeciate your feedback.